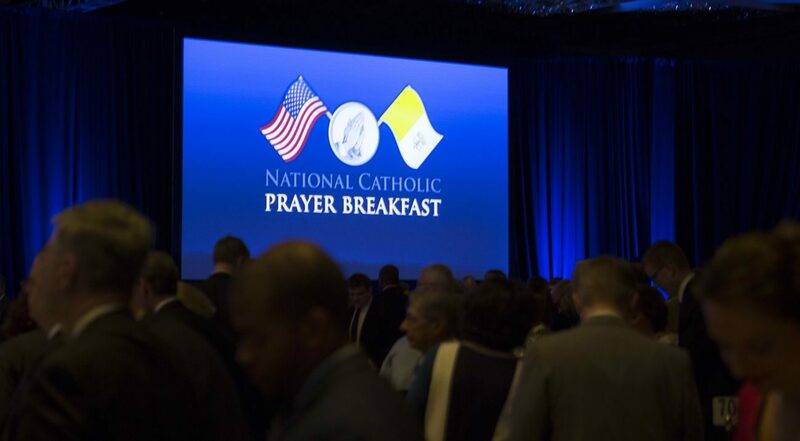 WASHINGTON (CNS) — This year’s National Catholic Prayer breakfast took on a decidedly Kansas flavor, as Archbishop Joseph F. Naumann of Kansas City and Sam Brownback, a former House and Senate member and governor of Kansas, addressed nearly 1,000 gathered at a Washington hotel May 24. 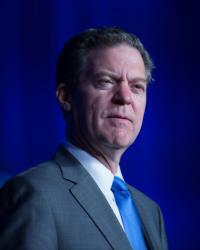 Also speaking was outgoing Speaker of the House Paul Ryan, R-Wisconsin, who was a staffer for Brownback in the latter’s early days in Congress. “No government has the right to infringe upon a God-given right. No government has the right to do that,” he added to applause. 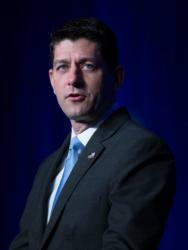 In Washington politics, Ryan said, “optics” is what counts. “That is a word I will not be missing,” he said to laughter. “As Catholics, there is nothing more fulfilling than fulfilling our mission with passion, with prayer and with joy,” Ryan said. 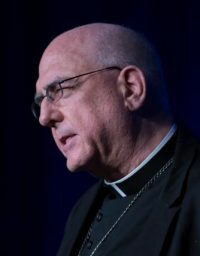 Archbishop Naumann said, “It is this loss of a sense of God that also leaves us vulnerable to losing sight of the innate value of each and every human being.” It promotes a culture in which “human life becomes just another thing in a world of things. Materialism reigns and breeds utilitarianism; our value is determined by our usefulness,” he said. “We are called to renew our nation, not primarily by enacting laws, but by announcing the joy and hope of the Gospel of Jesus to individuals in desperate need of its good news. It is our task to reclaim our culture — one mind, one heart, one soul at a time,” Archbishop Naumann said. To do so, he added, we need Jesus. “Jesus defeats humanity’s twin enemies, sin and death, by walking through death to eternal life. We believe in a God who died but is far from dead. The triumphant, risen Lord is still animating the lives of those who open their hearts to encounter his love. Thus for the Christian, we are never without hope,” the archbishop said.